Handcrafted in Italy, these cult-favourite tools fuse functionality and impeccable craftsmanship featuring quality badger bristles, wenge wood and burnished brass handles. Massage gently into shaven skin this rich balm infused with cactus extracts, essential oils and antioxidant-rich hops to rejuvenate and soothe skin after shaving, while its essential oils and shea butter work to give skin a boost of moisture. Designed to soften and condition facial hair while nourishing the skin, this softening oil by Gucci is infused with the same scent as the eau de parfum, with notes of leather, earthy vetiver and patchouli. 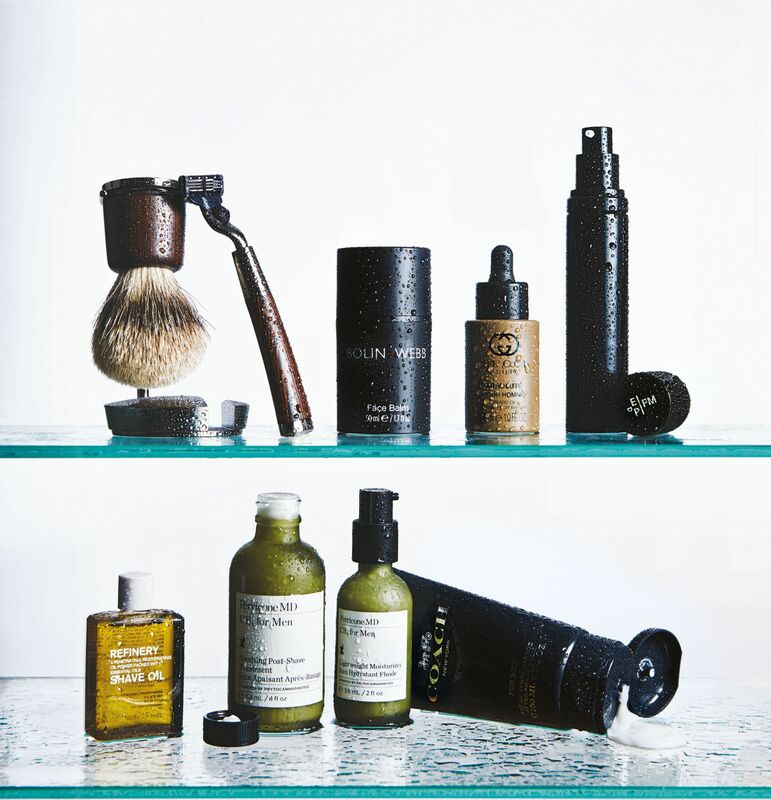 Cap off your shaving routine with a whiff of reinvigorating freshness. This nourishing shave cream gives hints of Haitian vetiver essence, sandalwood, pink pepper and bitter orange complete with a touch of menthol. Ideal for use before and after shaving, this multipurpose oil penetrates skin easily and is enriched with vitamins, antioxidants and rosehip seed oil to strengthen skin and promote elasticity. Infused with the phytocannabinoids which are naturally derived from hemp plants, this alcohol- and sulfate-free power gives post-shaven skin plenty of antioxidant benefits. Both lightweight in formula yet richly nourishing, featuring a woodsy green fragrance. The luxurious balm hydrates skin while leaving trails of the eau de toilette’s earthy scent, featuring notes of citrus, cardamom, vetiver with hints of suede.